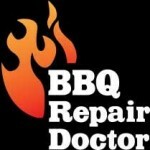 Weber Barbecue Repair Specialists - Highly Rated! Weber makes high-quality, high-performance barbecue grills. Over the long life of your Weber grill, it’s bound to have some repairs needed. And you will need a Weber barbecue repair experts to deal with these, often complex problems. BBQ Repair Doctor is such an expert. We have been dealing with barbecue repair, cleaning, and restoration for many years and we know Weber grills extremely well. In fact, we are factory certified and trained by Weber. Their demanding performance standards cover product maintenance, diagnostics, repair, and customer relations. You can count on us to do the job right! Many of the lower-cost barbecues have inferior burners. They are made of low-quality metal and will start to rust and fall apart after one season. The grilling deck is also an issue. Many low-cost grills have grill grates that are cheap metal coated with a thin layer of chrome that burns off. They look great in the showroom but quickly deteriorate. 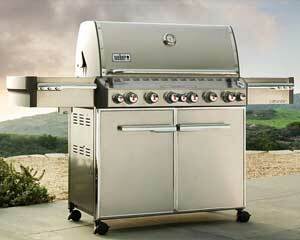 Unlike other barbecue grills, Weber grills are made of the first-grade metal. They will work well for years as long as you do the proper maintenance. By calling BBQ Repair Doctor for your Weber barbecue repair, you will save not only money but also the hassle of shopping for a new appliance. You will also gain peace of mind in knowing that your barbecue grill is safe and has a long life ahead of it. We can solve pretty much any issue that you may have with your Weber grill. Here are just some of the problems that we solve for our customers. As Weber barbecue repair specialists, we take our job very seriously. 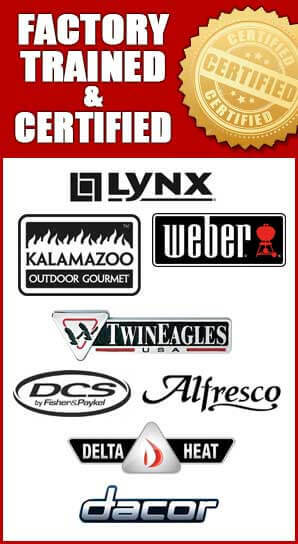 Our factory certified team has years and years of experience of working with Weber barbecue grills. We also know how to work with you, our customer. Our team members are always on time, and always polite and knowledgeable. Your satisfaction is our goal. Also, BBQ Repair Doctor uses the latest technology and genuine Weber parts. In fact most of the parts we bring with us in our trucks. So, that majority of the time nothing has to be ordered. Your time is very valuable to us. We do our best to keep your Weber grill working and looking new. If you can dream it, we can make it a reality! Besides doing Weber barbecue repair, we also specialize in grill barbecue cleaning and barbecue restoration. We can take an old dirty grill and make it look like new again. We do miracles when it comes to grill restoration. Our clients are always amazed what you can do with an old barbecue grill for a fraction of a price of buying a new one. 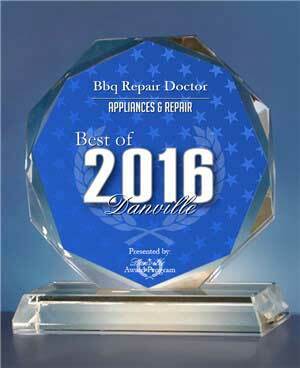 It’s not only Weber barbecue grill repair that we work on. We also do the entire outdoor kitchen repair and outdoor kitchen cleaning. That includes any outdoor appliances such as a cooktop, pizza oven, sink, refrigerator, Wine cooler, dishwasher, beer tap, smokers, hibachi grills and warming drawers, patio heaters as well as storage drawers and counter top spaces.